Portrait sketches being drawn by a Steil Club employee, glittery gak covering the hands of curious children, and amazing artwork hanging in the gallery. On Friday, Dec. 4th, Boys & Girls Club of Grand Rapids hosted its annual Club Member Art Show. The event included a variety of art activities open to all in attendance as well as a spectacular display of Steil and Seidman Club members’ artwork. 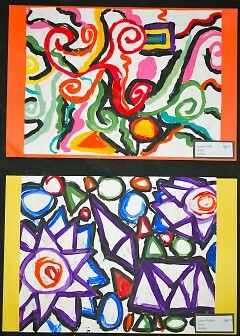 The exhibit showcased the youths’ talents in areas such as painting, drawing, ceramics, fabrics, and overall creativity. One of Boys & Girls Clubs five core program areas is the arts, and the clubs in Grand Rapids continuously attempt to provide proper opportunities for their youth to experience this field. With continuous education budget cuts, arts programs are usually the first to go. This lack of art education in the public schools places even more importance on the opportunities provided to the youth attending programs like Boys & Girls Clubs. Without after school programs offering art alternatives, the multitude of talent found in today’s youth would go uncultivated. 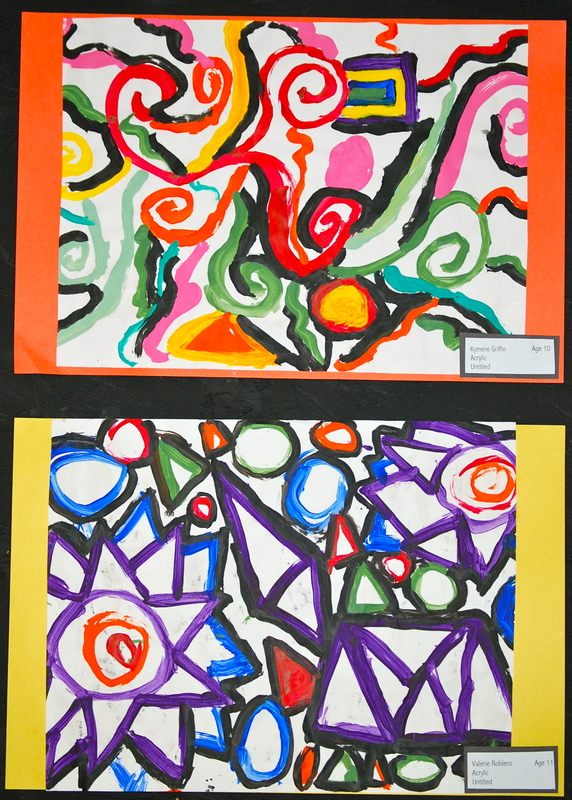 Boys & Girls Clubs provide the aspiring artists of tomorrow a chance to express their creativity, which was apparent at this year’s art show. Trompen collected the artwork showcased in this year’s exhibition over the past year. From the displayed artwork, a jury of local artists and Club board members voted on pieces that will continue onto the Boys & Girls Club National Art Exhibit. Much of the art chosen was by Club members that come into the art room regularly such as Joseph Velez, Valeria Roblero, Vanessa Silva, Joel Vargas, Mario Zamudio and Yesenia Bernal. Although not all Club member artists were selected to advance to the national exhibit, all of them seemed to truly enjoy the display of their work. Seidman Club member Pareiah Buggs had several pieces in the collection and was eager to share her process for creating a ceramic pot. The event was not just about enjoying the artwork of others; it was about making your own! Stations were situated around the gymnasium encouraging all visitors to indulge in their artistic side. Guests could choose from finger painting, watercoloring, weaving, making gak, getting a quick-sketch portrait, or creating fun photographs. The 2009 Club Member Art Show captured the creativity of the Steil and Seidman Club members as well as all other guests in attendance. It was a true celebration of the arts and could not have been duplicated by any other group of kids. 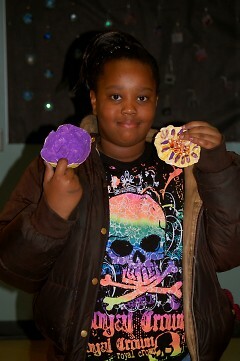 Boys & Girls Clubs of Grand Rapids is already looking forward to their next arts event, the Talent Show! Check out more photos or video! Article written by Sara Schneider.